2005 - 2009 Toyota Tacoma Recall Steering Wheel Spiral Cable - Toyota Motor Sales, USA, Inc. (TMS) has announced that it will conduct a safety recall involving certain 2005 to early 2009 Tacoma vehicles which will be recalled to replace the steering wheel spiral cable assembly. 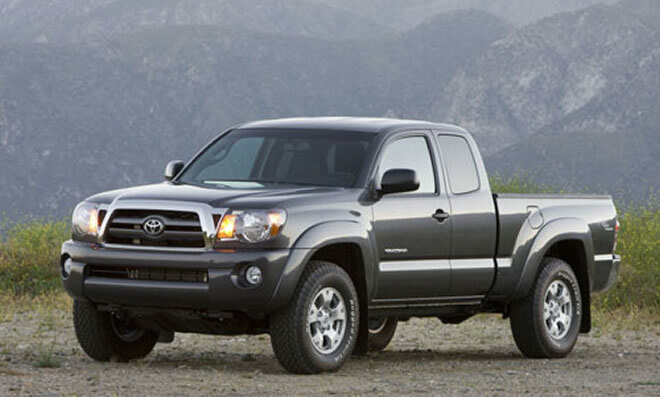 Approximately 495,000 Tacoma vehicles are covered by this recall. Due to the combination of steering wheel spiral cable design and characteristics unique to the Tacoma chassis, friction between the spiral cable and the retainer in the steering wheel spiral cable assembly may occur in some vehicles. Friction over time may result in loss of connectivity to the driver's air bag module. If connectivity is lost, the air bag warning lamp on the instrument panel will remain illuminated after starting the vehicle and the driver's air bag may be deactivated, preventing deployment in the event of a crash.